One of our favorite places to visit is Brazil. The people, beaches, and culture are beautiful. Alana has had the honor of performing in Rio's famous carnival, and it was more than amazing. 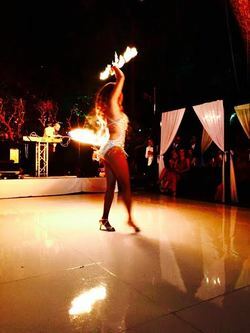 We have also performed for World Cup shows, weddings, music videos, TV shows, and concerts. "When I samba dance, I feel the heartbeat of the earth move through my feet and body, and I can't help but smile. If my smile is as infectious as they say it is, you will be smiling too!"